Get at all those hard-to-reach spots! 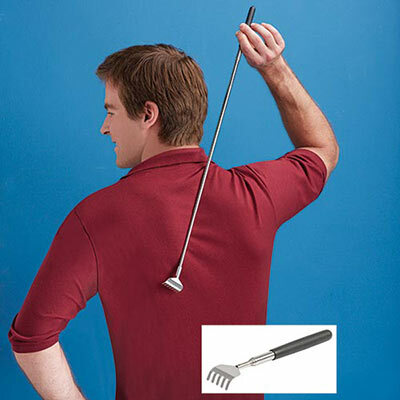 Handy Pocket Back Scratcher expands from a compact 8" long to a generous 27" long. Sturdy, silver tone metal with easy grip black rubber handle. 1¾"w.
Telescopes out to reach where you can't reach the itch and fits right in your purse or case. Sturdy too. My husband loves it and I'm getting him another.